It’s been almost a month since my last entry. I’ve not only been a lapse blogger, but a lapse-a-lot-of-things since the end of July. Thank God August has been good and that my head is starting to clear up. Today I’ve devised a way for me to stick to my responsibilities, goals and promises. So this means that not only will I blog every day, I’m going to do yoga or some form of exercise, write in my journal, read, meditate, and–the most important thing of all–create every single day from now on. I’m going to talk more about this next time. I’m keeping this short. I still need time to organize my thoughts and work on my plan for recovery. 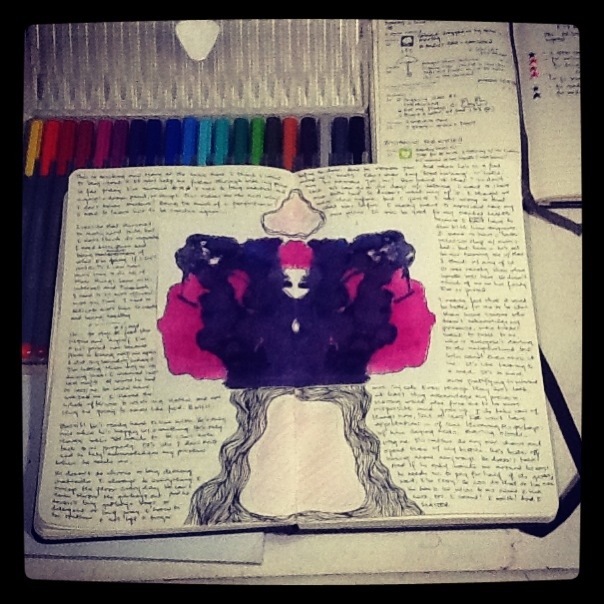 I leave you with this photo of my journal. I was a bit upset and needed to spew everything out on page. 🙂 Not the prettiest thing in the world, but who cares, right? It is what it is.